This guide will show you how to populate a Hidden field with the name of the visitor’s country. Install and configure the WordPress plugin GeoIP Detection. 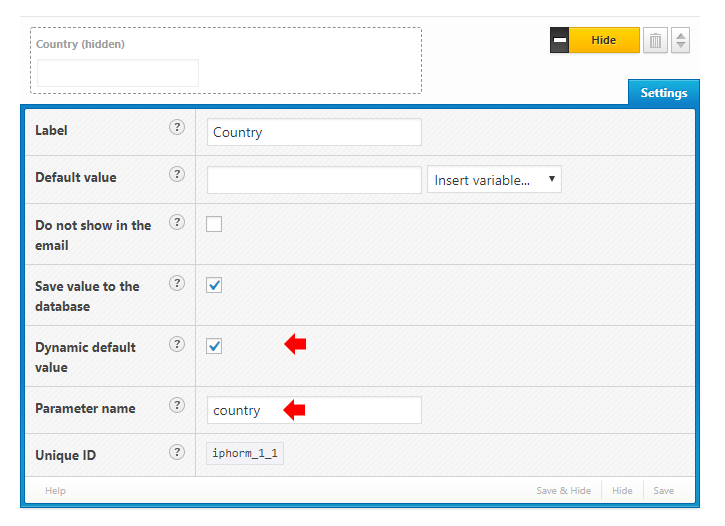 Add a Hidden element to the form, then go to the settings for it and enable the option Dynamic default value then enter the Parameter name country. Add the following code to the WordPress theme functions.php file (or create a plugin for it).